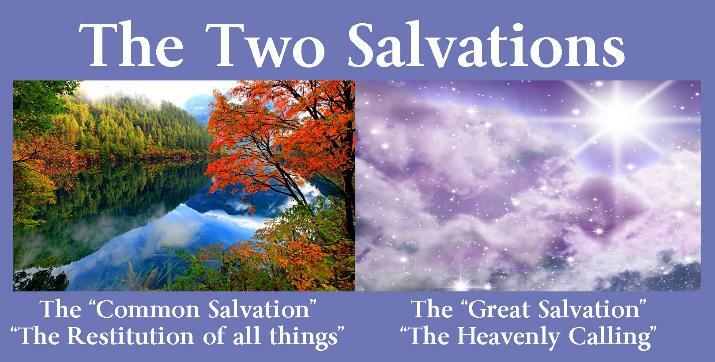 present it here for further insight on the Two Salvation’s. scriptural definitions of when salvation takes place. saved during the Millennial Age. rendered, first from the NKJ version and then from the Diaglott. there is more than one time or opportunity for salvation. through the great sacrifice of our Redeemer. but likewise we have a direct statement asserting that this is but one of the day(s) of salvation. There is a special salvation for some, as well as a general salvation for others. evidence for the discerning bible student.